If your business is operating a traditional 30th June financial year cycle, then the end of the financial year is almost here for you. To help you we are providing these notes as a reminder of the End of the Year process. These notes are only intended as a brief reminder for users who have previously run EOFY processes. If you are new to MYOB Exo EOFY processing then we recommend you call Communicat for support and training. 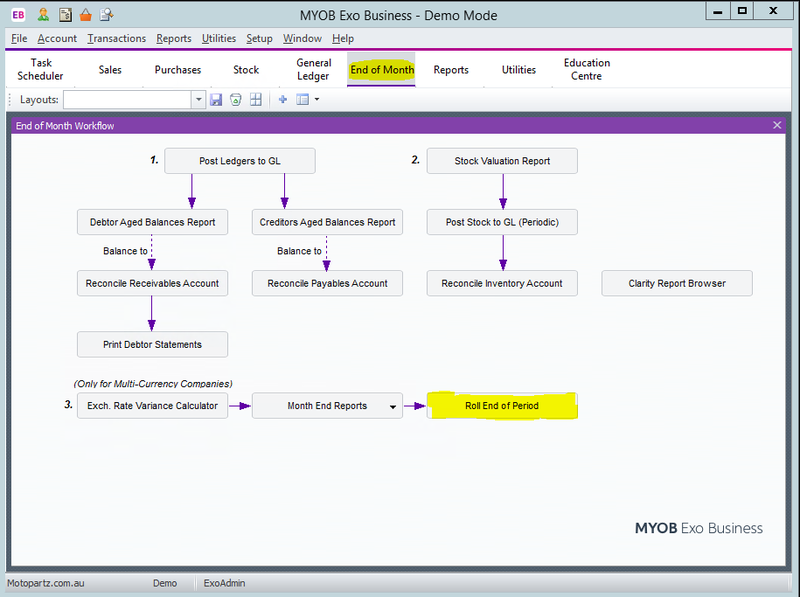 The EOFY process for MYOB Exo finance is reasonably straightforward. Read through these instructions and if you need any help call Communicat Support. MYOB Exo Payroll – If you are operating MYOB Exo Payroll then we recommend you should arrange for Communicat to visit you and work through the EOFY process. Where possible we try to contact all of our MYOB Exo payroll clients, but just in case you have not heard from us then please give us a call. If you are operating MYOB Exo Payroll then we recommend you should arrange for Communicat to visit you and work through the EOFY process. Where possible we try to contact all of our MYOB Exo payroll clients, but just in case you have not heard from us then please give us a call. Complete all of the procedures that you would normally complete leading up to the End of Period rollover. 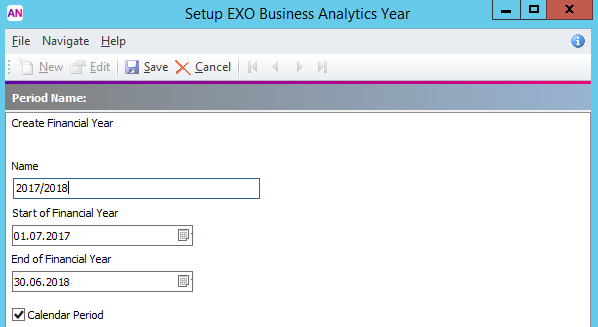 Before you roll over to the new year make sure you backup your MYOB Exo database. 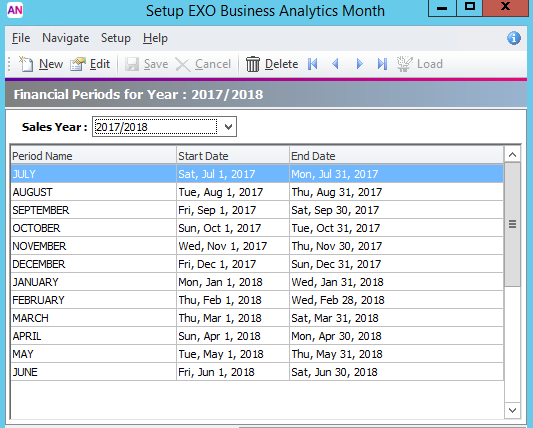 It is good practice to save this database backup labelled appropriately such as EOYbackup2017 where it will not be overwritten. 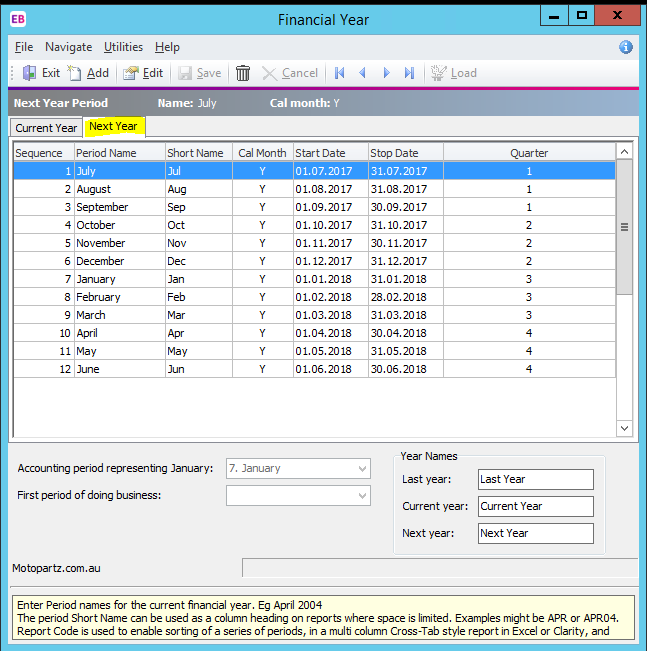 All periods for the new financial year (12 periods July> June) should appear on this tab. 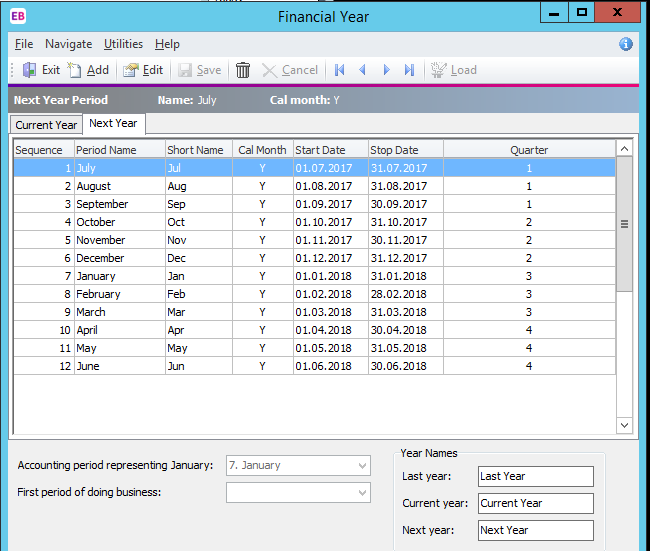 If the periods for the new financial year have not yet been defined, this tab will be empty. 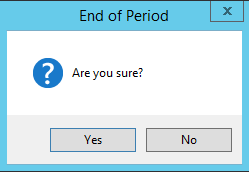 If this is the case, click the Load button to create periods for the new year based on the previous year. You will now be back in the End of period window. Tick all four ledgers as per a usual end of month rollover, and also tick End of financial year. Click ‘Yes‘ and continue to roll without posting transactions (you can still post them later). 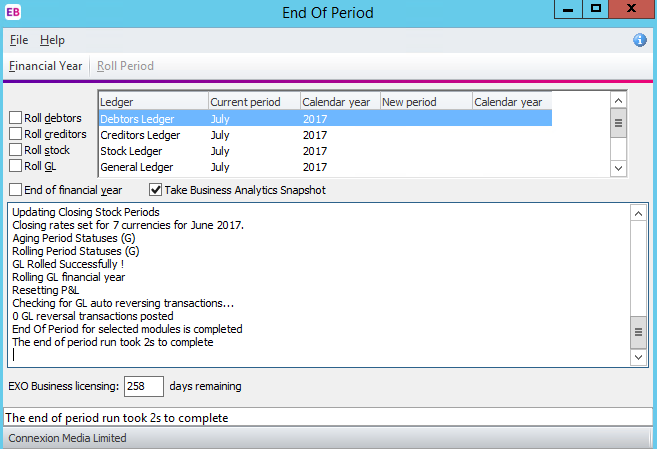 Unposted transactions in the subsidiary ledgers (Debtors, Creditors and stock) remain editable (subject to user permissions, allocation status and certain other constraints) until they are posted to GL. An individual End of Year transfer transaction will be posted in the profit Brought Forward account for each batch posted into last year after the year end roll has been completed, rather than one single transaction (less clutter) representing the entire year’s profit. 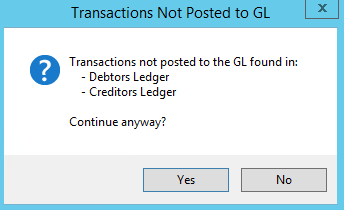 Click ‘No‘, complete your GL posting, and then return to the start of this process. Enter in the Name, Start and End of financial year. If your months reflect Calendar months, make sure that ‘Calendar period‘ is ticked on. For more information about analytics and how you it could be used in your business, please contact Communicat Support.